Last night’s Vice Presidential debate, between Republican candidate Mike Pence (aka Donald Trump’s right-hand man) and Democrat Tim Kaine (Hillary Clinton’s guy) provided some very ~interesting~ moments: Pence, for example, dodged questions about Trump’s most unsavory remarks (or flat-out denied that he’d made them) and Kaine’s eyebrows may have been the night’s real winner. But one of the most memorable moments came early in the evening when Pence thanked Norwood University for hosting the event and for its “wonderful hospitality.” The only problem? Farmville, Virginia’s Longwood University hosted the debate — and “Norwood” doesn’t even exist. Those facts were not lost on debate watchers, who immediately took to Twitter to correct Pence — and bring the snark. "Longwood will finally be put on the map because of this debate!" Norwood University is one of the top Twitter trends. I got my Masters in TV/VCR repair from #NorwoodUniversity. Big 12 Administrators now considering Norwood University as expansion candidate. Oof, that was a pretty big slight to Longwood, Pence. Even funnier, perhaps, than these individual tweets is the fact that some enterprising internet users created Norwood University Twitter accounts (yes, there’s more than one!) during the debate and filled them with total hilarity. Thankful we're finally being noticed. #Blessed. I wouldn't exploit a simple mistake. #Norwood you! 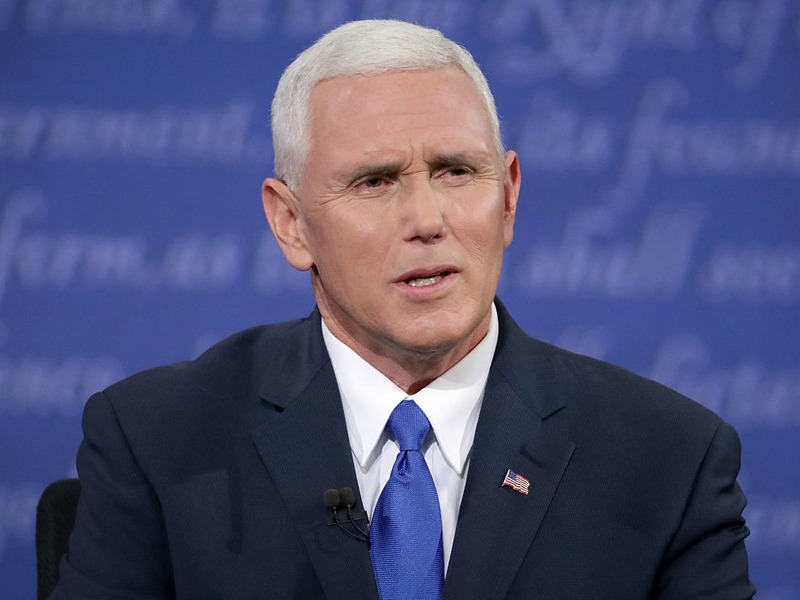 Unfortunately for Pence, that’s the only chance he’ll have to debate Kaine (and make up names of universities), but you can catch the next Presidential debate this Sunday at 9 pm EST.